Nairobi (Agenzia Fides) - Over one million people are at risk of hunger and malnutrition in Kenya. The alarm is raised by the Bishops of Kenya in an appeal sent to Agenzia Fides which states that "in March, according to the assessments conducted by the Catholic Church, the government, humanitarian agencies and local media reports, food insecurity has reached 1,111,500 people. The 12 most affected counties are Turkana, Baringo, Mandera, Garissa, Kilifi, Tana River, West Pokot, Marsabit, Makueni, Kajiado, Kwale and Isiolo having a total of 865,300 people needing food aid". 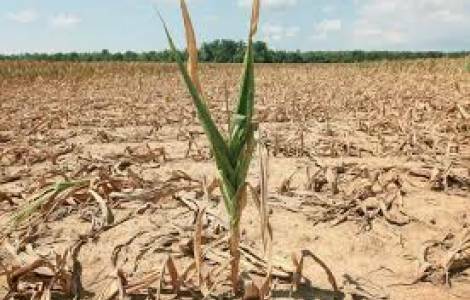 The Food Security situation in Kenya has deteriorated following the poor performance of the 2018 short-rains, which led to below average crop performance and inadequate replenishment of rangeland resources. The higher than average day-time temperatures currently being experienced in the country, has led to rapid drying up of dams, water pans and other water sources. This has caused crop-failure, malnutrition deterioration of livestock body conditions and low milk production. Other affected sectors are health, peace and security. "The delayed rainfall may culminate to a major humanitarian crisis in the country and this requires urgent response by all actors", said the statement.